We have almost reached the end of January – gosh what a damp, grey month it has been. 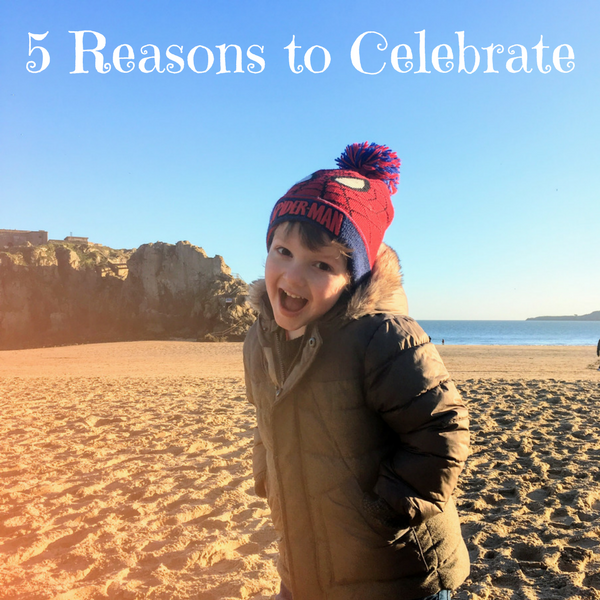 We still have a way to go before Spring arrives, so thought we would cheer you up with 5 reasons to celebrate and plan some fun events. A Big Birthday. My Grandad is 70 this year, and my sisters are 21 and 18. They are pretty big birthdays! Mummy might plan a big party, or a special mini holiday to celebrate. Graduation Party. MeeMee will graduate from University this summer – what better way to celebrate than a wonderful meal on a fabulous boat in Bristol, where she is in Uni. Hen Party. Mummy would love to organise a Hen Experience for one of her friends – there are all sorts of ideas from Abseiling to Zorbing, or maybe wine tasting or a pamper day. Halloween Party. Mummy loves Halloween and would love to hold a big party. She would love one for the grown ups which she could make extra spooky. New Years Eve Party. It is a struggle to find anywhere near us that holds a New Years Eve party where children can go too. Every year Mummy says she will organise one herself. A fancy dress one would be awesome. There are so many other reasons to celebrate throughout the year including Easter, Midsummers Eve, Bonfire Night and of course Christmas. Other events to celebrate are any birthdays, engagements, anniversaries, baby showers, christenings as well as any cultural or regional dates such as St Davids day for us here in Wales. Have you any big celebrations coming up? We have nothing big coming up this year thankfully! So it will just be the normal birthday and other parties as and when. It looks like you are going to have a great year though! The glass boat in Bristol looks amazing, I’ve wanted to eat on there before. You have an exciting year coming up! We have so much coming up this year! I am 40 this year, my eldest daughter is 18, my mom would have been 70 and my son is going into double figures! I cant wait to celebrate some occasions this year. weve nothing coming up this year at the minute.hopefuly we might get away this year atlast though. I love planning celebrations! Any time I book to go away there is always an excuse I give myself, this year it will be a late 20th birthday for my boyfriend and finishing my first year at university! Brilliant ideas, and congratulations to all on their milestones this year! There’s usually a celebration of some kind in the near future for anyone in the mood; it can be fun to try a new one sometimes, too. It looks like your family will have a year full of celebrations this year! I think I am going to have to plan a joint celebration this year as both my son and I have milestone birthdays at the end of the summer. I’m also hoping to plan a holiday this year as it has been 18 years since my husband and I have had one! I love a party for any occasion. It’s my mum’s birthday tomorrow.